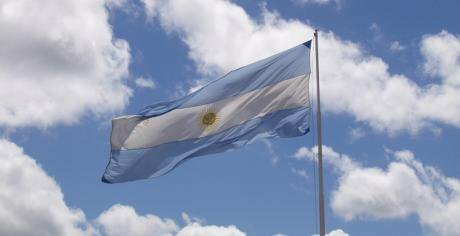 The Argentine flag, Wikimedia Commons. Argentina is a country of peculiarities that stands out in its regional context. In terms of defence and security for example, Argentina has implemented a model similar to that of the United States although it is much more recent. Argentina adopted the US model in 1983 upon democratising, meaning the military do not intervene in issues regarding public order such as was the Posse Comitatus Act of 1878 that established a strict separation between defence and public order. The legal pillars of the commitment to separate defence and internal security in Argentina have manifested themselves in the National Defence law 23.554 of 1988, the Internal Security law 24.059 of 1992, the Restructuring of the Armed Forces law 24.948 of 1998, the National Intelligence law 25.520 of 2001 and the regulation of law 23.554 of 2006. Under different governments, an agreement was forged with a majority support across party divisions regarding the delimitations between security and defence. This consensus was a product of the doubly traumatic experience derived from coup d’etats, structural and institutional violence generated by military generals in power with systematic violations of human rights, and the Malvinas War with the subsequent defeat by the United Kingdom. Another peculiarity of Argentina is related to this idea of “new threats”. Phenomena like terrorism, drug trafficking, the proliferation of nuclear weapons in the hands of tyrants, failed states, and the collapse of the environment, are global issues that affect the entire international community, but manifest themselves in different ways around the world. Argentina does not suffer from an environmental crisis with negative consequences for its neighbours, it is not a failed state, it is not governed by tyrants, nor does it intend to develop nuclear weapons. Despite having experienced two terrorist attacks in 1992 (in the Israeli Embassy), and in 1994 (in the Argentine Israeli Mutual Association) that are characterised by impunity even today, since 9/11, Latin America as a whole has not witnessed terrorist attacks by any fundamentalist organisation. In fact, the region is the only part of the world that has avoided such attacks in the past 17 years. Argentina however, does have an issue with drugs, especially with an increase in the use of narcotics, but it is not a producer of illicit psychoactive substances from natural sources nor is it an international exporter of synthetic drugs, nor does it have as grave a problem with criminal groups as do Mexico, Colombia or Central America. Despite the limited relevance of these “new threats” in Argentina, from the start of the administration of President Mauricio Macri in 2015, the government has endeavoured to facilitate military participation in areas of internal security. Due to the fact that he did not have majority support in the Congress to alter current legislation regarding security, his declarations for the past two years were mostly symbolic. In the context of eloquent errors and financial difficulties that led the IMF to approve a loan of $50, 000 million for Argentina, the government faces growing levels of social conflict whilst lacking the budgetary capacity to fulfil its defence obligations. Despite the lack of terrorist attacks in Argentina for the past 24 years and the lack of lone wolves and sleeping cells, the administration insists that combating terrorism must be a priority. However, the government has been gradually changing its tone regarding drug trafficking and terrorism. Despite the lack of terrorist attacks in Argentina for the past 24 years and the lack of lone wolves and sleeping cells, the administration insists that combating terrorism must be a priority. They have also invoked a state of emergency regarding drug trafficking as though the situation was out of control, disregarding the fact that one of the main barriers in the way of developing an effective strategy to deal with drug trafficking is the issue of police corruption, an inefficient judicial system, and the ease with which assets can be laundered. How should the recent Decree 683, by which the armed forces are now allowed to be involved in issues of internal security such as drug trafficking and policing the northern border of the country, be interpreted? Some have interpreted this as the return of militarisation of the extreme right promoted by very small influential groups in and out of the governing coalition. Others have argued that it reflects a desire of Argentina to align itself with Washington US as was the case over the 90s, exemplified today in its desire to join the “war on drugs” in the region, and the “war on terrorism” worldwide. Even others suggest that an administration that is so attentive to opinion polls is eager to respond to growing feelings of insecurity among the citizens and also willing to sustain the support of the military, which had voted for the governing coalition. Without denying the truth in certain aspects of these explanations, it seems to me that there is another explanation that is more precise and perhaps relevant. The decision by President Macri to introduce the armed forces in issues of internal security follows the logic of what could be referred to as peripheral neoliberal militarism. Neoliberal militarism of the great powers such as the United States consists of increasing military spending to stimulate and improve the profits of the large corporations linked to the arms trade. Neoliberal militarism of the great powers such as the United States consists of increasing military spending to stimulate and improve the profits of the large corporations linked to the arms business and trade and thus guaranteeing Washington’s ability to project its power globally. Different from the latter, neoliberal militarism of the periphery in the case of Argentina is not expansionist in the geopolitical sense, and it consists of reducing the state in favour of the private sector and the market, accentuating the de-financing of defence as military spending is considered inefficient, the armed forces as idle, and their involvement in internal security as functional in order to secure an economic model that is increasingly exclusive. In this context, the profound ideological preferences of the executive highlight the decision to blur the lines between defence and security directed towards dealing with threats that are not priority issues for Argentina today.